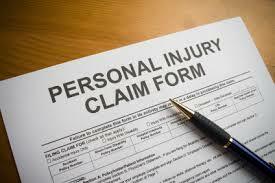 What many victims of personal injuries forget is that they have to put their health first. So, until you’ve largely recovered from your accident, or the doc says its fine to go ahead your personal injury solicitor, won’t push you into the case. Factor in the time you’ll need to heal up. That’s the first priority. One of the easiest ways to get a handle on how long your case will last is by evaluating your injury. Sorry to state the obvious but minor injuries usually process quickly, while more serious injuries are complicated. Your solicitor may advise you to wait for the long-term impacts of your injury to surface, before you make a claim. Of course, you will need the appropriate medical evidence, so make sure you go to regular appointments with your doctor. Your solicitor may have to hire an independent doctor to examine you also, so sit tight for this. It’s important that there are two medical opinions confirming your injuries. When you accuse the defendant of negligence, their answer can severely lower your waiting time for the case to be settled. If they admit they are guilty, it should be relatively smooth sailing from here on out. If they refuse to accept responsibility, you’ll have a long battle ahead of you. It’s up to you and your solicitor to gather enough evidence to make a solid case. This means witnesses, photographs, police reports, and medical examinations. The stronger your case, the more likely you’ll be to push the defendant into a corner. And the sooner this will all be over! A lot often rests on how co-operative the defendant is. You may have to wait lengthy delays for responses, which hinders the case from moving forward. It could even add months to a claim process, which is exactly what you don’t want. If an unreasonable offer of compensation is made, solicitors will often advise their clients to escalate the situation. Obviously, time-wise it’s ideal to settle the compensation outside of court, but this isn’t always possible, if the defendant isn’t co-operating or is being unhelpful during negotiations. Court can be busy and you may have to wait for a free slot to take your claim to a judge. With court proceedings, you could easily find yourself with an added 4 – 6 months on to the duration of your claim.